Aren’t you supposed to pretend that you’re scared or somethin like that? 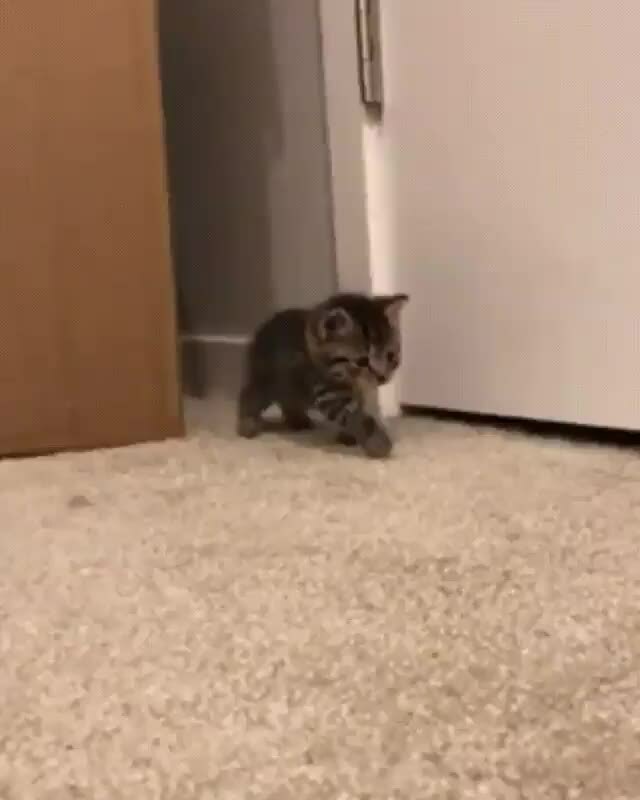 Pretty cool how similar this kitten acts when pretending to hunt is to how bigger cats hunt. The instinct to come creeping out from hiding, stalking its prey, and then pouncing, is so deeply programmed into their DNA.